Dr. Riser and his staff provided excellent care and communicated with me clearly and effectively both by interpreting my test results in easy-to-understand ways and doing patient teaching to improve my health outlook in the future. Excellent job! While sometimes hard to see, Jimmy ALWAYS takes the time to completely listen, digest, and advise. After my visit, I am confident that I have received the utmost in professional care. EXCELLENT!! I have no problems with Dr. Riser. 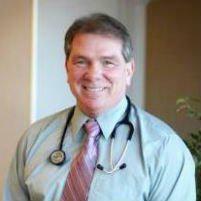 He's been my primary care doc for nearly 30 years & I believe he is truly interested in my well-being. i was seen in a timely manner and the staff was very friendly and pleasant. Dr. Riser was very knowledgeable. The reason I gave you 4 stars instead of 5 was that I really prefer to see Dr. Riser. Not that the others are not any good but I have such a mess up health history. Its hard to see someone else and explain all of it. The nurse practitioner I saw was attentive and caring. She had very good patients.